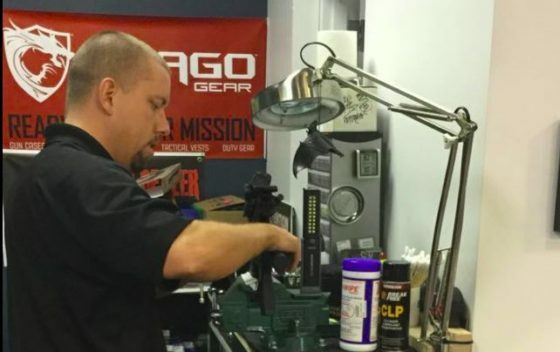 USPSA Shooter, 3-Gunner, and NRA-certified firearms instructor Jason Falconer has been identified as the man who shot and killed a 22-year-old Somali immigrant who went on a stabbing rampage inside a St. Cloud, (MN) Mall on Saturday. The apparent terrorist—who apparently asked victims if they were Muslims before stabbing them—was engaged by Falconer inside the mall. Falconer is the president and owner of Tactical Advantage LLC, a shooting range and tactical training facility with a strong focus on arming concealed carriers. He’s also a former chief of the Albany (MN) police department, and he remains a part-time officer. Bloomington City Council votes 6-1 to Pass Gun Store Ban!